Cape Town - South African double Olympic champion Caster Semenya is hopeful that the Court of Arbitration for Sport (CAS) will declare the IAAF's case "invalid" following their postponement of its ruling. CAS announced on Wednesday that they have delayed their verdict in the controversial case "until the end of April". Semenya's legal firm Norton Rose Fulbright confirmed on Friday that additional submissions were made by the parties including submissions by Semenya in response to post-hearing communications from the IAAF. Semenya was quoted as saying that she hopes that "this delay will not prejudice any potentially affected athletes, and that no athlete will be required to comply with the Regulations while they are suspended." In the press release it was stated that Semenya remains optimistic that CAS will declare the IAAF's Regulations "unlawful, invalid and of no effect". 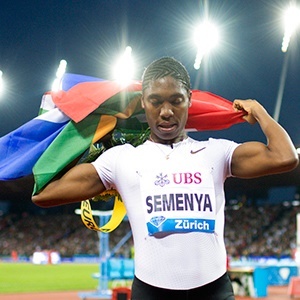 "Semenya wishes to express her thanks for the overwhelming support shown to her and to women athletes throughout the world since the hearing began including by the South African Minister of Sport, Thokozile Xasa, and for the support this week from the Human Rights Council of the United Nations and the United Nations Educational, Scientific and Cultural Organization (UNESCO)," ended their statement.